Are we really only 150? 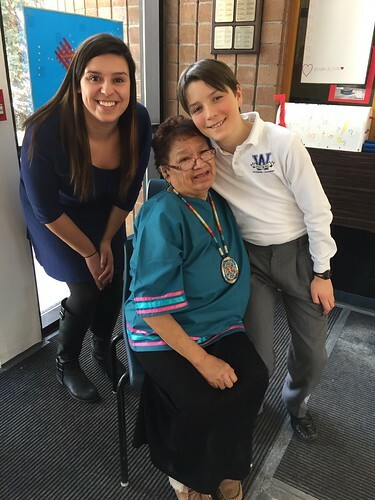 This past spring Curriculum Services Canada invited Project of Heart’s Charlene Bearhead to speak about her work in the field of reconciliation. Charlene is the former Education Lead for the National Centre for Truth and Reconciliation and is the current Education Coordinator for the MMIW inquiry. After you click the link and read the post, we’d be eager to here *your* reflections on the meaning of #Canada150 in the comments section below. This amazing CBC report features long-time Project of Heart teacher Lisa Powell from Pierre Elliot Trudeau Elementary in Gatineau who explains how she pairs local seniors with her own young learners from James Bay and Kitiganzibi. One of the most gripping moments is realizing that the “senior buddies” are hearing the story of Jordan River Anderson for the the first time; the saga of how one child was forced to live his entire life in a hospital bed because no level of government would agree to pay for his home care is a shameful blot on Canada’s reputation and not one the Federal government is eager to discuss. So schoolchildren just a few short blocks away from INAC headquarters are telling the story instead. And while we are talking about Jordan, here is a link to the Broadbent Institute’s petition calling on the Federal government to respect the Canadian Human Rights Tribunal rulings that Canada must cease discriminatory practices against Indigenous children. 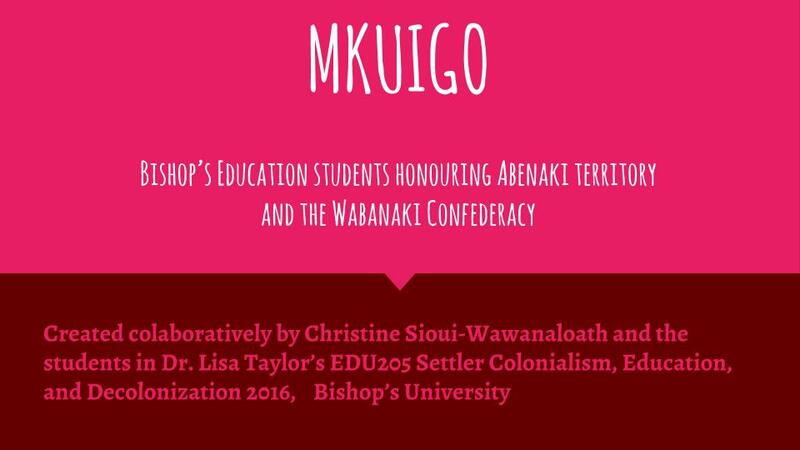 April 24, 2017 was a special day for the Education Faculty at the University of Ottawa as experienced educators joined with BEd. Teacher Candidates to “teach them how to teach” Project of Heart to their future students. It was a “Teachers Teaching Teachers” seminar. The seminar was organized by the Faculty of Education’s Director of Teacher Education, Dr. Nicholas Ng-A-Fook. 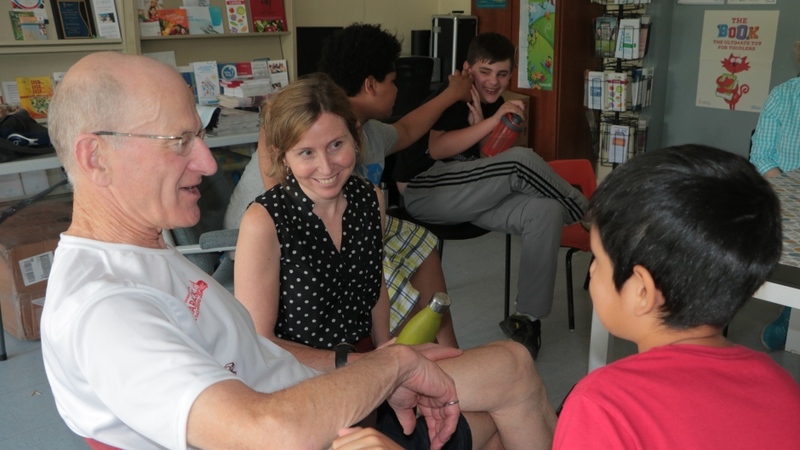 Nicholas was aware of the strength of Project of Heart from past presentations, and this past term he created the opportunity to offer it as part of a teacher training symposium. June 2017 will mark seven years since the First National Event of the historic Truth and Reconciliation Commission was held at The Forks in Winnipeg, Manitoba. 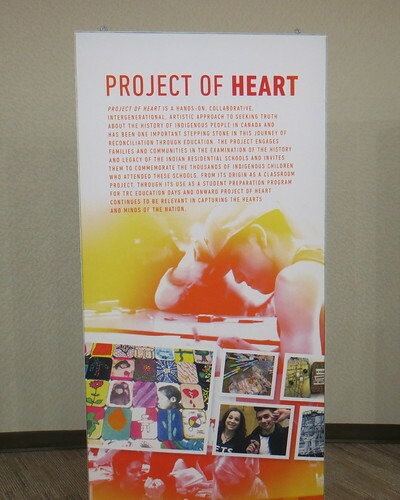 Project of Heart was invited to exhibit, and soon the Manitoba Theatre for Young People was hosting 6 ooo decorated Project of Heart tiles. 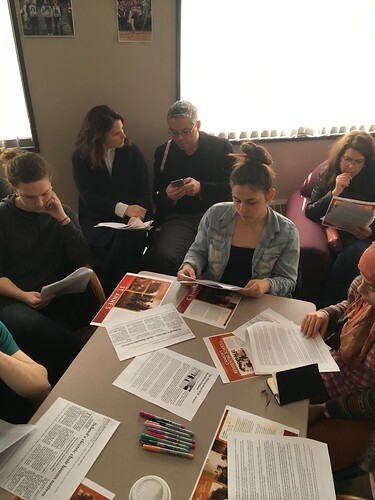 Visitors learned about the Indian Residential Schools, visited and spoke with Survivors, and participated in social justice actions through signing petitions and writing letters. Thank you CBC for covering this event and thank you to the IRS Survivors who, through the Truth and Reconciliation Commission brought Project of Heart to Canadians everywhere. The students and staff at Ottawa’s Westboro Academy were honoured by the visit of a very special guest this past month, and they have a grade 5 student at the school by the name of Leo to thank for the event. 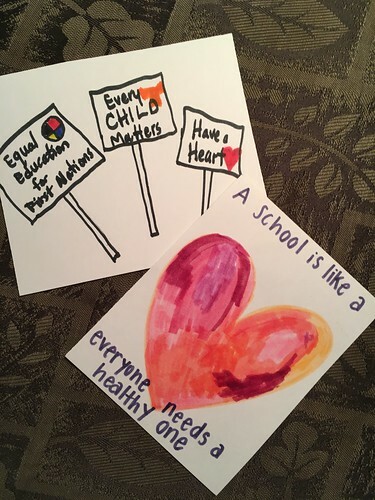 Project of Heart helps set the record straight in Washington D.C.
Last week the Permanent Council of the Organization of American States chose Project of Heart, along with two other stellar Indian Residential School projects, to feature in an exhibit showcasing educational initiatives that challenge historically inaccurate “official” curricula that misrepresent the experiences of Indigenous Peoples in the Americas. 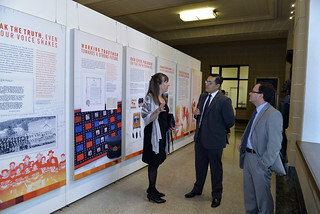 The launch the exhibit, Charlene Bearhead (10th row down, ride side) Education Lead at the National Centre for Truth and Reconciliation and National Co-Director of Project of Heart, spoke on what Canadian students are doing to set the historical record straight. The exhibit is to be displayed for 3 weeks — enough time to allow delegates a truthful glimpse into Canada’s shameful genocidal history and what young people are doing to turn it around. My grade 6 class spent a great deal of time inquiring about Truth and Reconciliation, First Nations circle teachings, Grandfather teachings, and residential schools. We have completed our Project of Heart! And are excited to share it with you! Our plan? The table will be placed in our Learning Commons. It will be a place for groups to come when they need to arrive at a consensus. It will be a place for people to come when they are in need of a restorative session. Its tiles all tell a story of my students’ learning. They will share these stories at the dedication ceremony. Editor’s note: We’ve add the Hewitt’s Creek photos to our albums page at https://www.flickr.com/photos/projectofheart/albums — it’s a great place to see how educators across Canada have incorporated POH tiles and artifacts in their classroom.